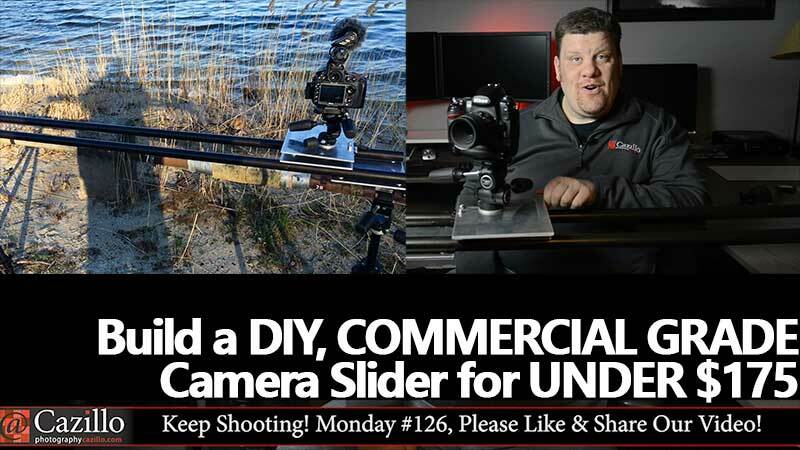 Greg has spent a few months researching and building his second DIY Camera slider. The first one was a total fail, fortunately round two is a winner! This version was based on a very popular YouTube video design which is exactly what Greg was looking for. The original had a good design, but it wasn't heavy duty enough and didn't use the best materials. Greg found new, readily available parts and wheels to make it work perfectly. In the coming weeks Greg will be demoing the slider more and building a way to make it slide automatically with a Raspberry Pi controller. Also come back next week Greg will announce how you can win a set of wheels for your own DIY Slider just like this one from CamOnWheels! Keep shooting!